WOW - WHAT A DEAL!! - PURCHASE THIS SUPER NICE MOBILE HOME & OWN THE LAND, NO ASSOCIATION FEES OR LOT RENT!! THIS UPDATED MOBILE HOME IS LOCATED 15 MINUTES FROM BOCA GRANDE, 15 MINUTES TO ENGLEWOOD BEACH / MANASOTA KEY & JUST 4 MINUTES TO STUMP PASS MARINA.BRING YOUR BOAT & PARK IT AT HOME. THERE ARE 2 PUBLIC BOAT RAMPS WITHIN JUST A FEW MILES. 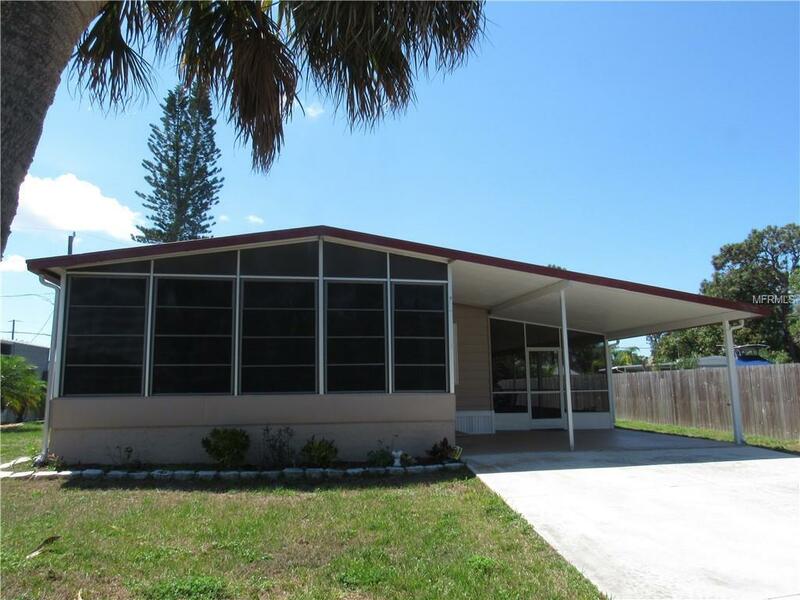 THIS 2 BEDROOM, 2 BATH DOUBLEWIDE IS ON A OVERSIZE LOT WITH TONS OF UPGRADES. IN THE LAST 2 YEARS, ALL NEW FLOORING, ALL NEW VINYL WINDOWS ON FRONT FLORIDA ROOM WITH NEW REMOTE CONTROL WINDOW AC UNIT. KITCHEN HAS NEWER APPLIANCES, NEW SINK / FAUCET & DISPOSAL. HUGE SCREENED-IN LANAI IS ALL NEW ALLUMINUM FRAMING & SCREEN. UTILITY SHED ON LANAI PROVIDES ADDITIONAL STORAGE WITH WASHER & DRYER HOOK UPS. ADDITIONAL SHED IN BACK YARD WITH ELECTRIC. ROOMS ARE LARGE, BRIGHT & SUNNY, YOU WILL APPRECIATE THE CARE & ATTENTION GIVEN TO THIS HOME AS SOON AS YOU WALK THROUGH THE DOOR! DON'T MISS SEEING THIS ONE - BONUS ALERT - BEING SOLD TURN-KEY.